Before most of the world has even had time to adapt to smart watches, the next big thing is on its way: smart rings. 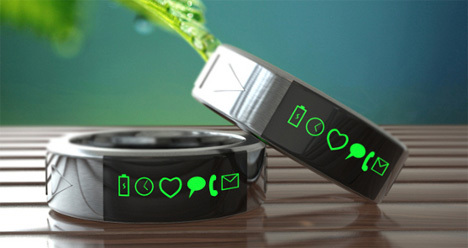 When paired with a smartphone, the Smarty Ring comes with a rather long list of capabilities. Besides looking pretty sweet on your finger, the ring can alert you to calls or texts or social media alerts, accept or reject calls, control music, trigger your phone’s camera, and even make outgoing calls to preset numbers. If you step too far away from your paired smartphone while wearing the Smarty Ring, it will alert you so that you never leave your phone behind. 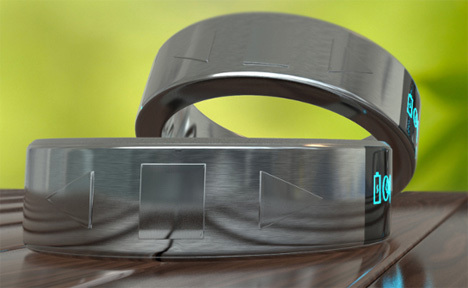 The Smarty Ring recently completed a successful IndieGoGo campaign, surpassing their funding goal by quite a bit. The creators of the ring say that it will boast an impressive 24-hour battery life and be recharged via an induction charger. See more in Clocks & Watches or under Gadgets. December, 2013.